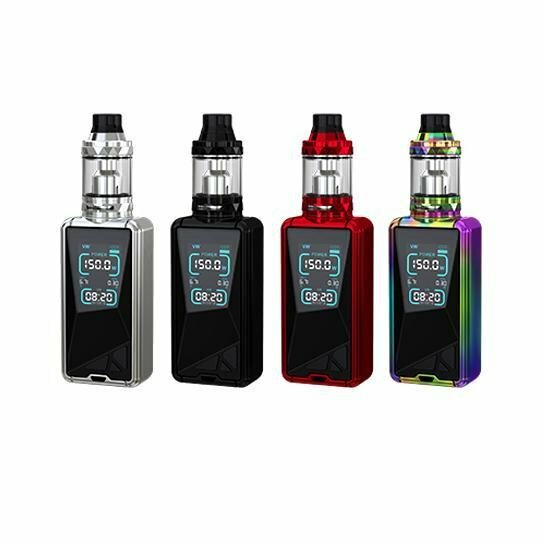 The Eleaf Tessera 150W 3400mAh TC Starter Kit With 4ML ELLO TS Tank is designed with low-poly elements and high-performance experience in mind, the new TESSERA is elaborately engineered in every single detail to be not only visually appealing but versatile. It features a 1.45 inch TFT color display and an all new UI system. A beast behind the beauty, the TESSERA is capable of firing up to 150 watts and has a maximum of 2A charging for efficient recharging. The TESSERA comes paired with a newly designed ELLO TS atomizer that utilizes HW coils for intense flavor and clouds.